Thursday, 9/22. 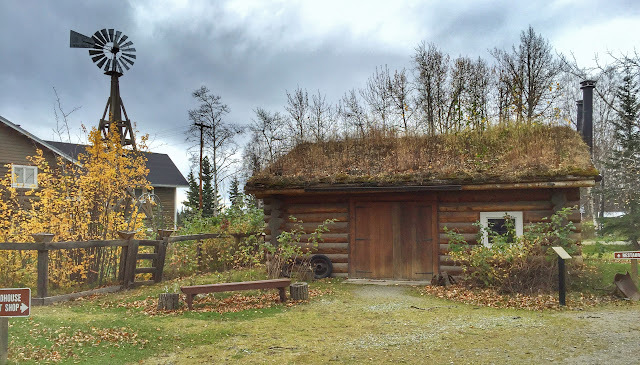 When we left Tok and turned north toward Fairbanks, we were traveling the famed Alaska Highway. 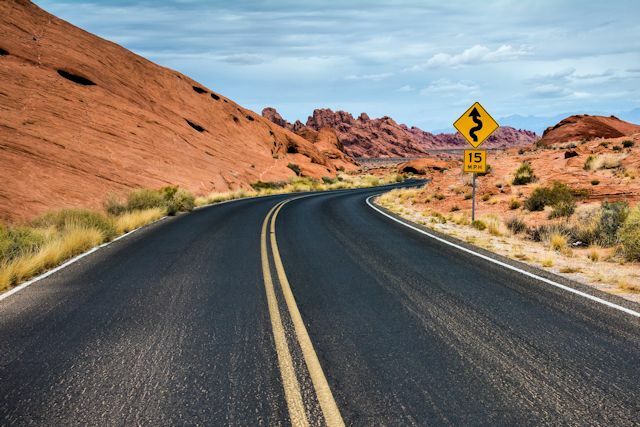 Prior to our opportunity to drive on a section of the Alaska Highway in the Yukon last month, we had what we now realize was an antiquated image of this legendary road. Since it opened to the public in 1943, stories of its teeth-rattling challenges have been legion. The one that stuck fast in our minds was a writer's 1976 trek in a Corvette over an Alaska Highway that was then mostly gravel and mud. Rugged, pioneering, devil-may-care frontier stuff. 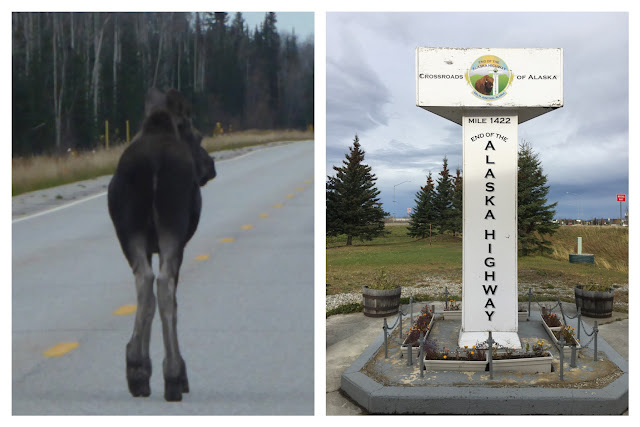 Before we arrived in Delta Junction, the official terminus of the Alaska Highway, we came upon a female moose strolling up the highway. As we slowly approached, she continued on her morning jaunt. Finally when she detected a noise behind her, she turned, gaped in astonishment, and loped off the road and into the woods. The people in Delta Junction must have heard us coming, too. 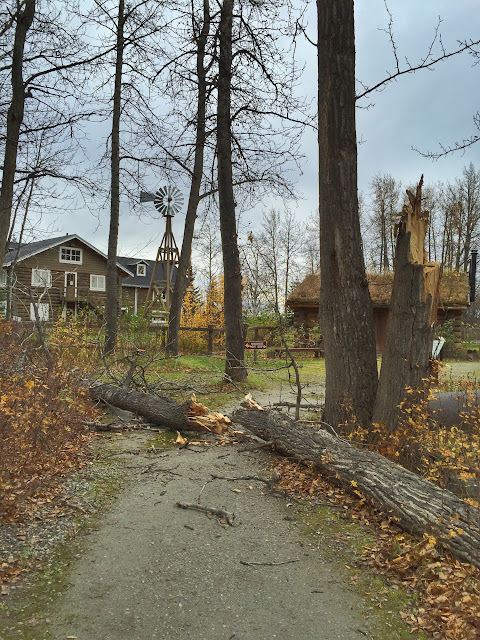 When we arrived at the visitor center, a sign informed us that it had closed for the season a couple of weeks before. We didn't let that brush-off dampen our enthusiasm for this critical crossroads, however, as we planted a letterbox in the underbelly of a steam shovel at the Sullivan's Roadhouse Museum across the street. Heading north out of Delta Junction, we were back on the Richardson Highway, which would take us into Fairbanks. Ten miles north of town we pulled over to check out Rika's Landing Roadhouse, and darn if it wasn't shut up tight, too. The old inn is the centerpiece of the Big Delta State Historical Park in the town of...yes, Big Delta. 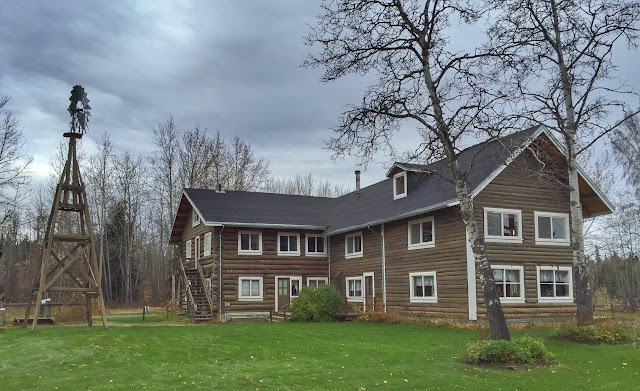 Located at the confluence of the Delta and the Tanana Rivers, the town got its name from the wide river delta where the two streams merge. Since we were back on the Richardson, we were running parallel to the Alyeska Pipeline again. 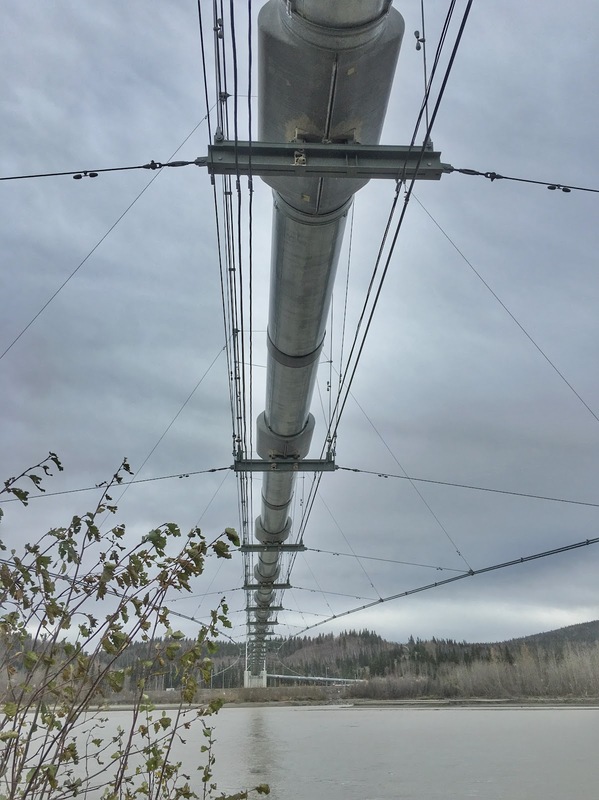 Where they both crossed the Tanana River, a turnoff south of the bridge offered a great view of a 1,200-ft. section of pipeline suspended over the river between two towers. As we letterboxed our way north, we inevitably stopped in the dubitably named town of North Pole (pop. 2,117), just south of Fairbanks. More than 1,700 miles south of the Earth's geographic North Pole, the town—originally called Davis—was renamed with the hopes of attracting a toy manufacturer to the hamlet. 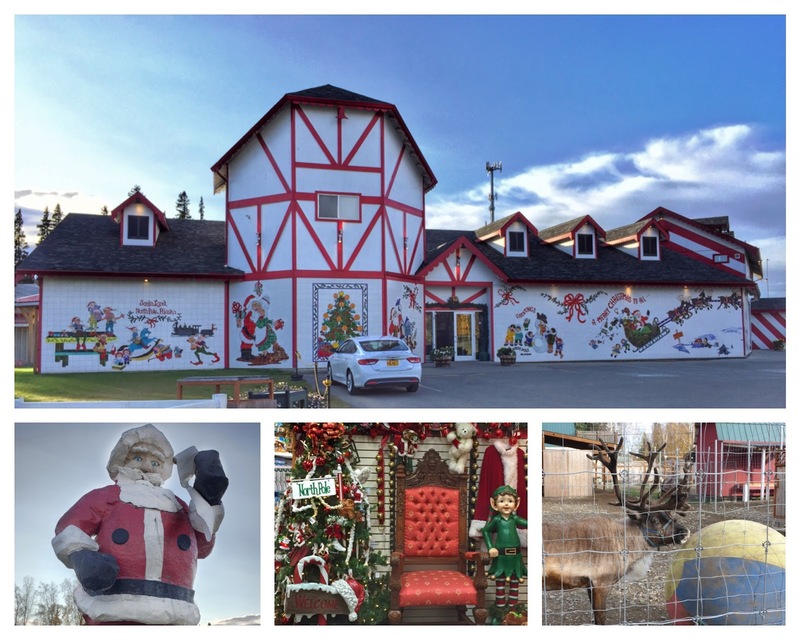 Though that ploy was unsuccessful, tourists happily flock to shop at Santa Claus House, to take a selfie with what is promoted as the world's largest alfresco Santa Claus, and to stalk the caged reindeer at the barn near the Santa shop. 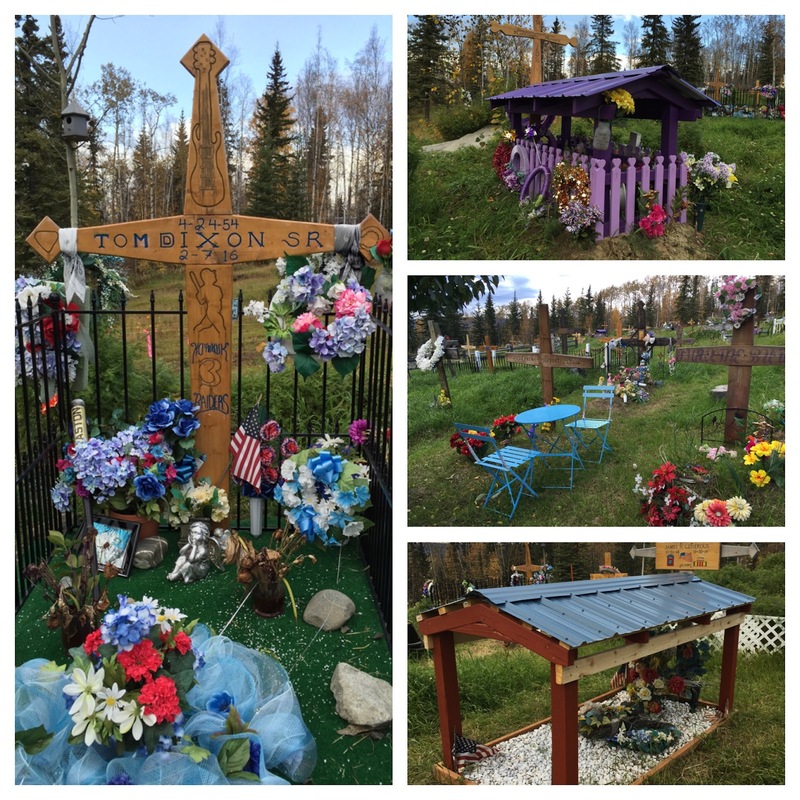 On a hill overlooking the city of Fairbanks, our final letterboxing stop on Thursday was Birch Hill Cemetery. The box we were seeking was in a section of graves marked by wooden folk monuments in a natural landscape. Both colorful and unique, the markers and decorations seemed a personal reflection of the deceased and those who cared about them. 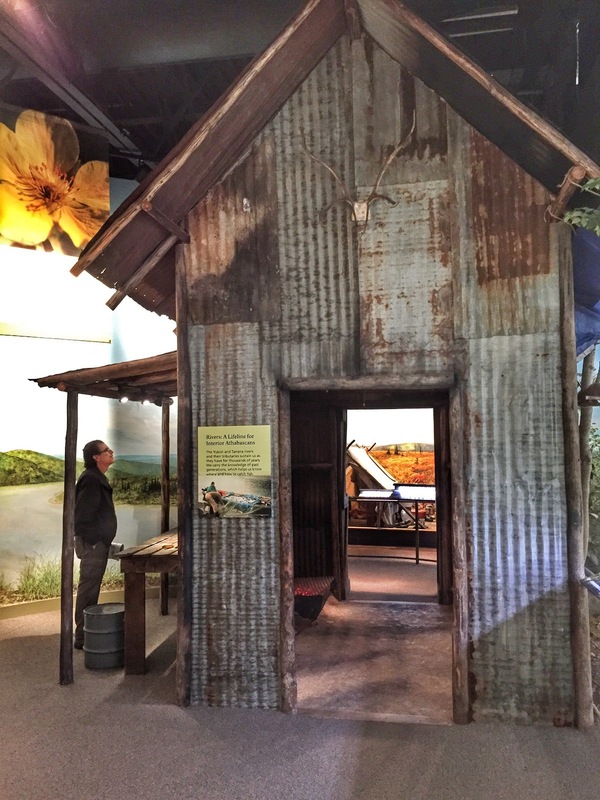 Friday, 9/23: We started Ken's birthday with a visit to the Morris Thompson Cultural and Visitors Center in downtown Fairbanks. Though it is currently Alaska's second largest city, Fairbanks exudes small-town hospitality and a frontier outpost spirit true to its roots as a trading post and gold mining center in the early 1900s. 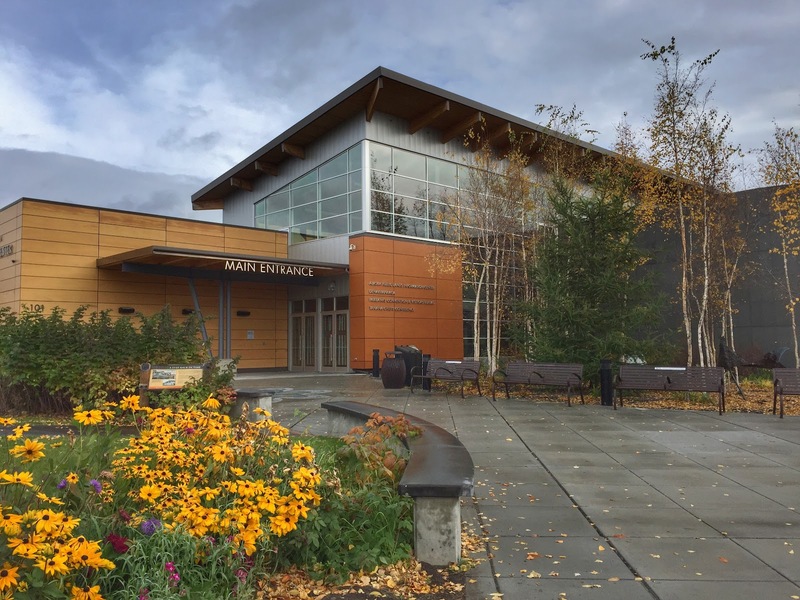 The cultural center is home to the tourist information office and several environmental organizations as well as extensive exhibits on the land, peoples and history of Fairbanks and Interior Alaska. 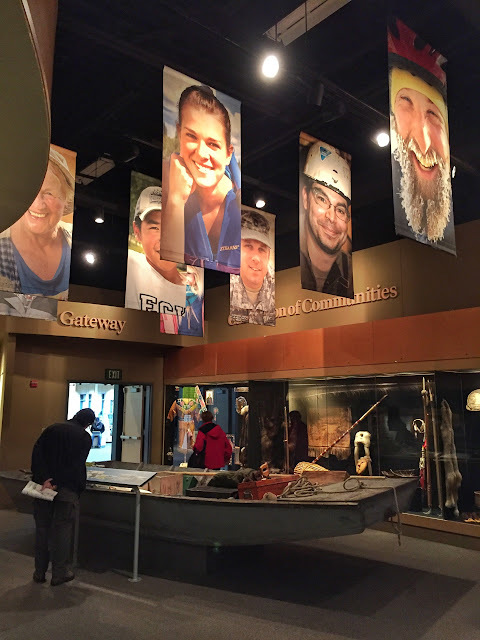 Exhibits at Thompson Center focus on the people of Interior Alaska. Though not as well-funded or professionally curated as the Thompson Center exhibits, the Fairbanks Community/Dog Mushing Museum also featured informative displays with fascinating history of the city and dog sled racing. The better known Iditarod race has come through Fairbanks only a couple of times when snow was inadequate at its traditional starting point further south, but Fairbanks has hosted its own Yukon Quest race each February since 1984. 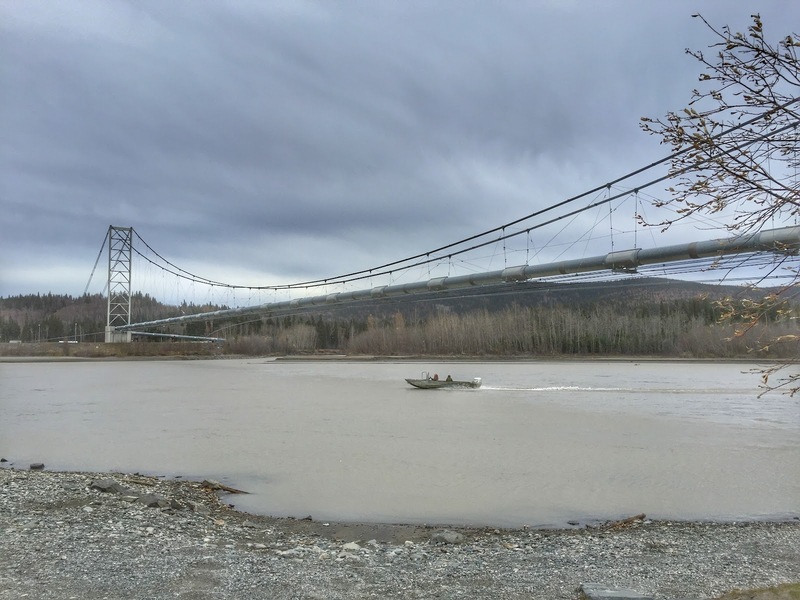 Alternating the start and finish lines each year, the 1,000-mile race sends mushers between Fairbanks and Whitehorse, following the Yukon River and traveling over four mountains. 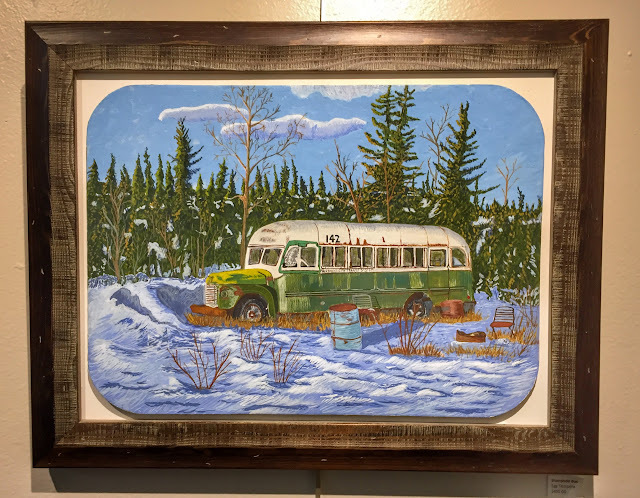 One of the community museum's rotating exhibits features works by Alaska artists, with this month's spotlight on the works of Amy Reisland-Speer, who lives and works in Healy. Included in the exhibit was her painting of the so-called "Magic Bus," an old Fairbanks city bus abandoned in the Alaska wilderness and made famous by the death of hiker Chris McCandless in 1992. His story was commemorated in Jon Krakauer's book Into the Wild and the movie of the same name by Sean Penn. In our readings planning this trip, we had come across information about people visiting the bus. "So what's with all the interest in the McCandless bus?" I asked the museum's volunteer docent, a professor at a local college. Little did I realize I was poking at a sore spot. For the next ten minutes, we heard about all the poor unfortunate, misguided people who have mythologized and romanticized this story and become obsessed with hiking to the remote location of the bus carrying a bag of rice, the only type of food McCandless had taken with him on his adventure. Often as unprepared as their hero was, some of the "pilgrims" have died; many others have needed rescue. As she finally concluded, this is "clearly a source of irritation for Alaskans" who have to pay to extricate these naive visitors. Clearly. Later Friday evening, we bundled up for an aurora hunting photography workshop. This one was booked before we went out chasing northern lights with Sean in Yellowknife last month and was significantly more expensive. Along with another couple about our age and a young New Zealand woman, we were picked up by photographers Ron and Marketa Murray at our hotel just after 10:30. We traveled about 25 miles out of town in their passenger van to a mushers cabin near Murphy Dome, reputed to be one of the best northern lights viewing areas near Fairbanks. Unfortunately for us, the night was mostly cloudy with very little aurora activity. Of course, the photographers offering the tour had no way to control atmospheric conditions. The instruction they offered was equivalent to what we learned from Sean in Yellowknife, though he had no slideshow illustrations and charged only about one-fourth what we paid in Fairbanks. And though the "mushers cabin" aspect sounded a bit adventurous, it turned out to be just an untidy rustic shack filled with dogs and about as clean as any dog house would be. It was not exactly what we expected, but had the northern lights been more spectacular and the cost more in line with the experience, perhaps the appearance of the cabin would have been enhanced. After another day in Fairbanks tomorrow, we'll take the famed Alaska Railroad to Anchorage on Sunday. Sandhill cranes conduct their own harvest of a barley field off Sawmill Creek Road near Delta Junction. Strong winds the previous night had downed some trees at the historic park. We loved that the Fairbanks TI staff labeled which activities are closed for the season. Antler arch made of more than 100 moose and caribou antlers collected from Interior Alaska. Delicious savory crepes made the perfect birthday lunch at the Crepery. Letterbox clue advised "find the chair by the tree." Seven years later the chair is still there! 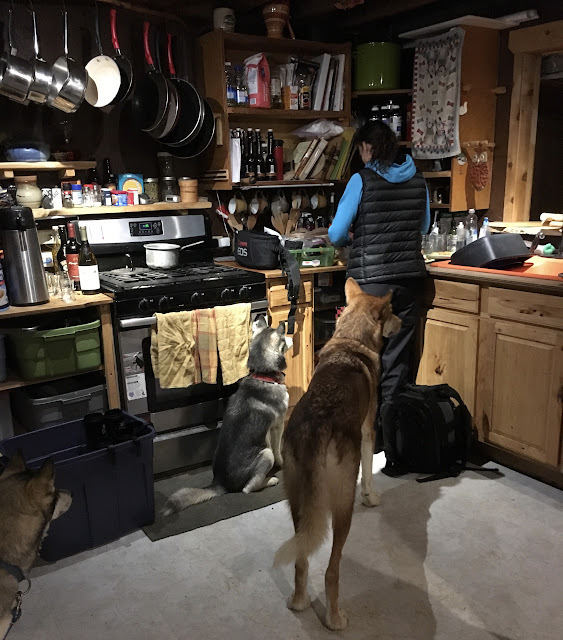 Marketa prepares snacks in the mushers cabin.